Congratulations to our team on a successful 2017 season! 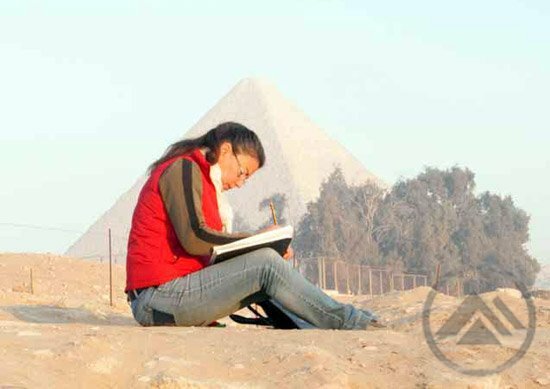 The 2017 Giza season consisted of an intense six weeks of study and ‘stock-taking’ in our Giza Lab. 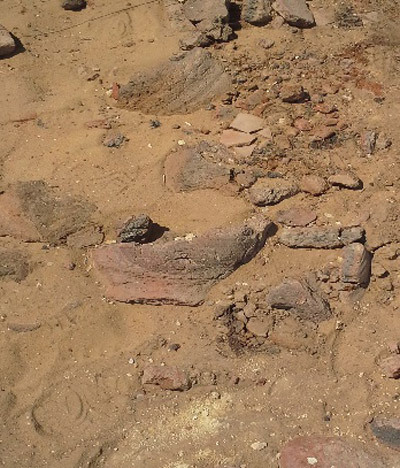 The ceramics team (Mahmoud el-Shafei and Aisha Mohammed) studied materials from relatively recent excavations – the 2012 work in Khentakawes East area, and 2015 work in AA South. Over four weeks they were almost able to catch-up on these analyses, and put the finishing touches on their reports for those areas. Manami Yahata, who excavated in the Soccer Field West House Unit 1 area several years ago, has always been interested in the large quantities of roofing materials from this house, and because we had a study season, she was able to conduct analyses of these remains, recording the various different types of impressions from logs, branches, matting etc found in anonymous-looking lumps of sandy-mud! Ali Witsell, one of our sealings specialists, joined us for a week to make an assessment of what will be needed in the future to complete the analyses of our sealings material. Samar Mahmoud, a field-school student in 2015, is studying lithics as part of her Masters program, and was able to join us for a few days a week. She looked at materials from much older excavations, in the Main Street East area (2006-2007), in which large quantities of the debris of stone-tool production were discovered. In a warm atmosphere, the 10th anniversary of AERA field school was held in the presence of Dr. Mark Lehner, Ana Tavares, and Mohsen Kamel from AERA accompanied by our supervisors, and students. 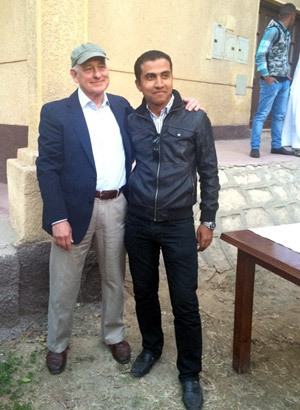 Dr. Zahi Hawass, Mr. Sabry Abdel-Aziz, who witnessed the birth of field school, Dr. Mahmoud Afifi, Mr. Ahmed Ebeid, Mr. Kamal Wahid, Afifi Rohaim, and Mr. Mohammed Yossef from the Ministry of Antiquities also attended. The party became more lovely with our colleagues from past field schools all over the last 10 years. I have met old friends who had not seen for a while! 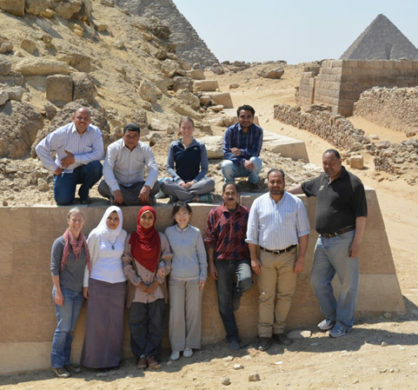 Especially my dear colleagues from the Giza plateau who received their certificates for 2012 AERA Field school. As work on site draws to a close at Standing Wall Island (SWI), Field School 3 have begun the work of painstakingly recording, photographing and drawing all of the archaeological remains that we can see. What began as an open space surrounded by a few stone walls, is now clearly recognizable as a building, with an entranceway, corridor, and rooms featuring a range of activity and storage areas. As our understanding of the site has grown, though, so have our questions about it! Reham and Ayman (field-school students) hard at work. View to the North. Photo by Y. Mahmoud. A Fourth Dynasty harbor and dolphins in one day! For the last field trip of the Beginner’s Field-School 2015 we gathered in the villa at 6:00 AM, and then the bus moved towards to the Red Sea at 7:00 AM. The weather was very good and it was a sunny day. 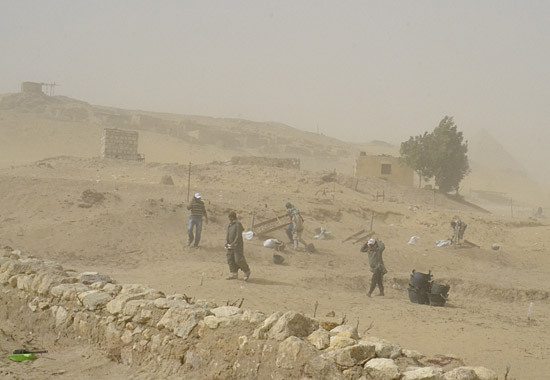 French excavation site, Wadi el-Jarf. Photo by Yasser Mahmoud. After one and half hour we reached Ayn Sukhna and took a rest. 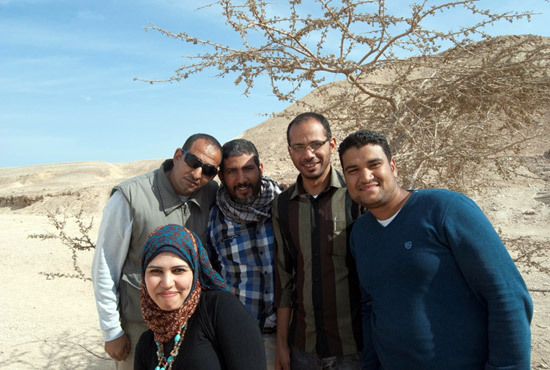 Some of us went towards to the Red Sea shore to take photos, while the others drank coffee. Students and supervisors take a little break during the trip. Photo by M. Yasser Mahmoud. 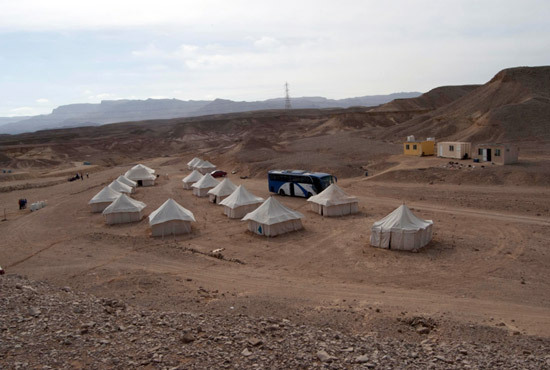 Then we moved again to the south on Zafarana road which is located between the Red Sea and the mountain of Galala. It was a very beautiful view. 20 KM south of Zafarana we reached the archaeological site which lies inside the desert about 3 KM. We could see the French mission tents from the road. The French team kindly showed us their work. Photo by V. Pabeschitz. The study of the skeletal remains is an essential part of the study of biological anthropology. 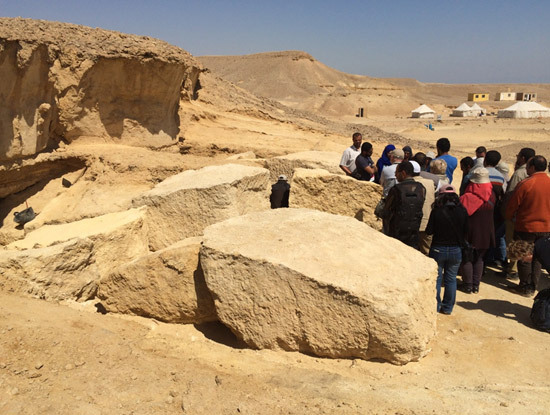 The Field-School ‘osteo’ course was designed to introduce the students to the main aspects of the human remains. 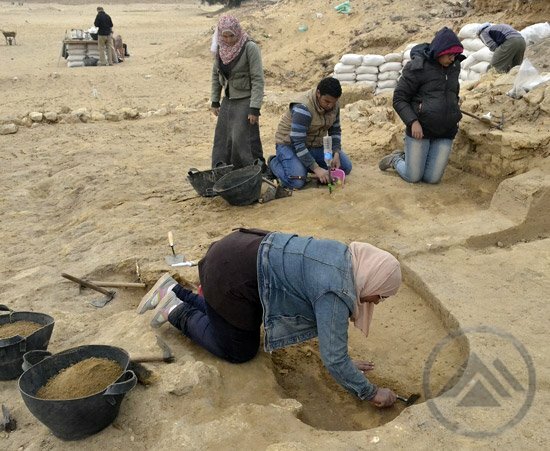 We explain the main principle of the excavation of human remains, which follow the same general principles and instructions of archaeological excavation, but needs special additional techniques and tools for the bioarchaeologist. Imagine that you have never been to a restaurant in your entire life. One day you are granted an invitation to dine out with the world’s best chef. 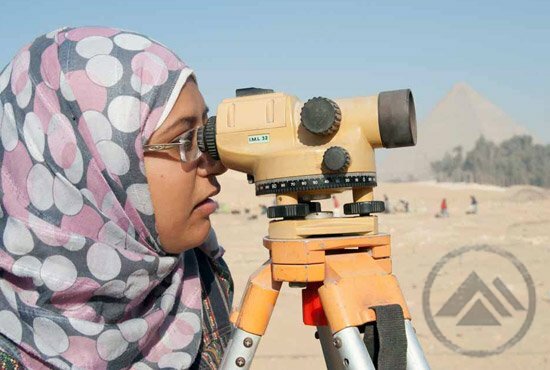 This is how it feels to be a beginner in archaeology field training at Heit el Ghurab (HeG), “Lost City of the Pyramid Builders”. Pottery dump in ‘Standing Wall Island’. Photo by D. Karbashewski. What a gift. I have been dropped right into a real excavation directly behind the Pyramids, the most famous archaeology site in the world. 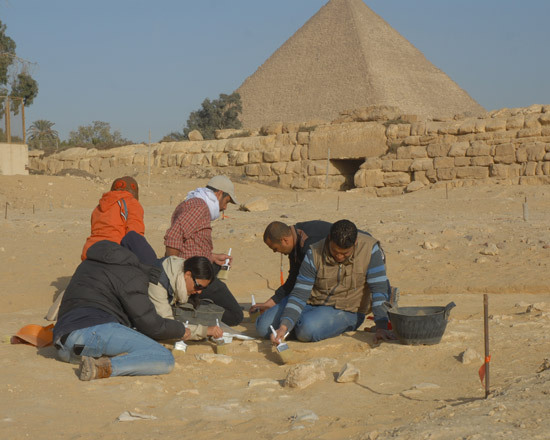 The professional team of archaeologists are knowledgeable and patient. 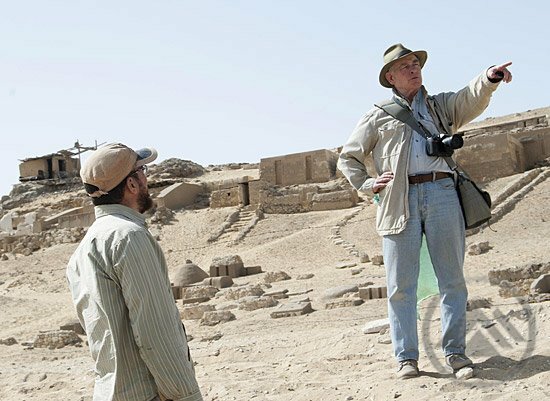 My Egyptian counterparts are well versed in archaeology, hieroglyphs and ancient Egyptian culture. They have an incredible eye for details. They are tremendously happy people that have open heartedly accepted me into their study group. Two weeks ago there was a big storm on the site which made us leave the site early at 10:30 a.m. The first thing which happened was a light wind, and we continued our work. Step by step the wind became stronger than before, after that we could not complete our work because the sand prevented us from seeing anything. In this stage we tried to write the data for everything which we found on that day but it was very difficult to write or give numbers for the bags – the wind was very hard. Firstly, let me seize the opportunity to express my feeling about joining such a great field school with the well-organized team held by AERA. 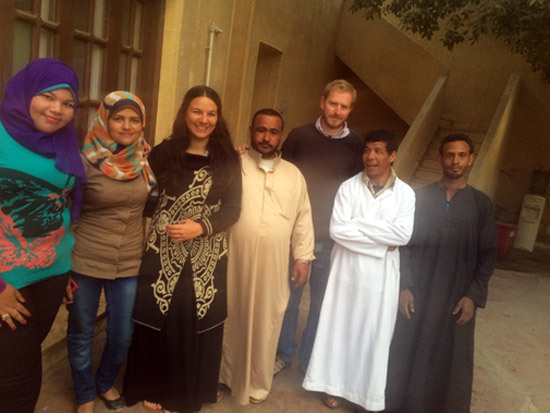 I am a member of the Field School Group 2 team along with Dan, Essam, Hazem, Nehad, Debra and Mohamed. 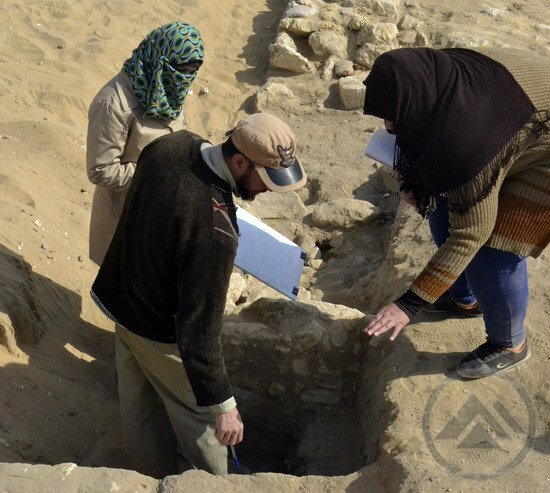 Together we are carrying on the analysis of the Standing Wall Island (SWI) area of the Heit el-Ghurab (HeG) site at Giza. We start work at 7am and the first thing we do is go to the storeroom to get the equipment we need for the day. When we walk to the storeroom Debra takes photos of us, the sky, or horses. AERA 2015 Field School Group 2. Standing (from left to right) Essam, me, Nehad, Debra, Hazem, Mohamed, and Dan (sitting). Photo by Yasser Mahmoud. There are three groups in the 2015 AERA field school. Group 1 is working away from us in an area called AA-South which is next to the very interesting Pedestal Building. Field School Group 3 are our neighbors and also working in Standing Wall Island (SWI). 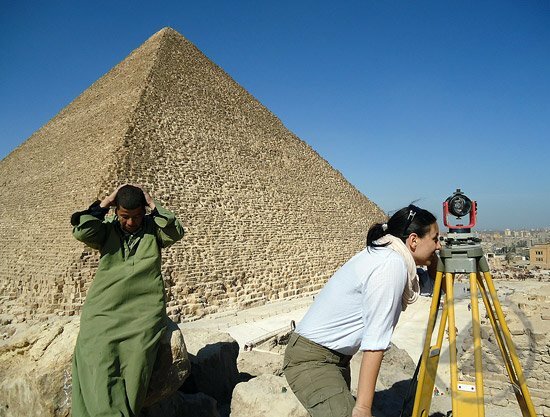 Once again, we are back working in the AERA lab workroom on the Giza plateau. 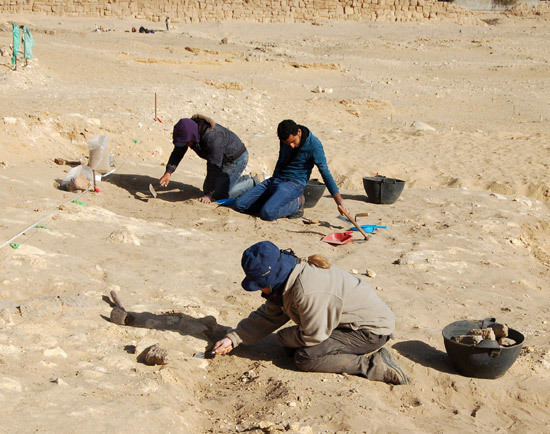 Every year a team of specialists gathers to study, record, draw, photograph and analyze all the archaeological materials; ceramics, animal bones, plants, lithics, pigments, mud seal impressions, mudbricks, soil cores, human skeletons and objects. What is our backsight today? A few weeks ago, these words had no practical meaning for me. I have a deep passion for the Ancient Egyptian culture and I try to absorb anything that concerns the subject of Egyptology while studying at my home base University in Basel, Switzerland. A program such as the one offered by the AERA field school had for long time been an aspiration in order to get closer to the REAL, i.e. to gain fieldwork experience right there where theory meets real practice. For me, this is a dream-come-true experience. But more than that, just a few days here and I was captured by the feel for the professional engagement that I want to devote to any of the tasks offered for training. 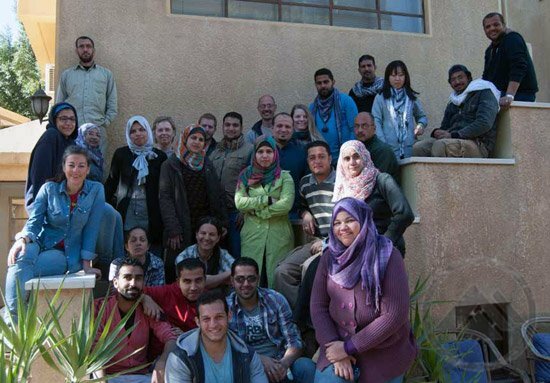 Time is flying: our class is already two weeks into the field school program.